3777 Robin Hood Way, Madison, WI.| MLS# 1848146 | John Reuter Realtor/Broker/Owner of The Reuter Team. Wisconsin Homes for Heroes Realtor. Proud to be the Top Homes for Heroes Realtors in Wisconsin and One the Top Homes for Heroes Realtors in the United States. Showings start 4/14 at noon. 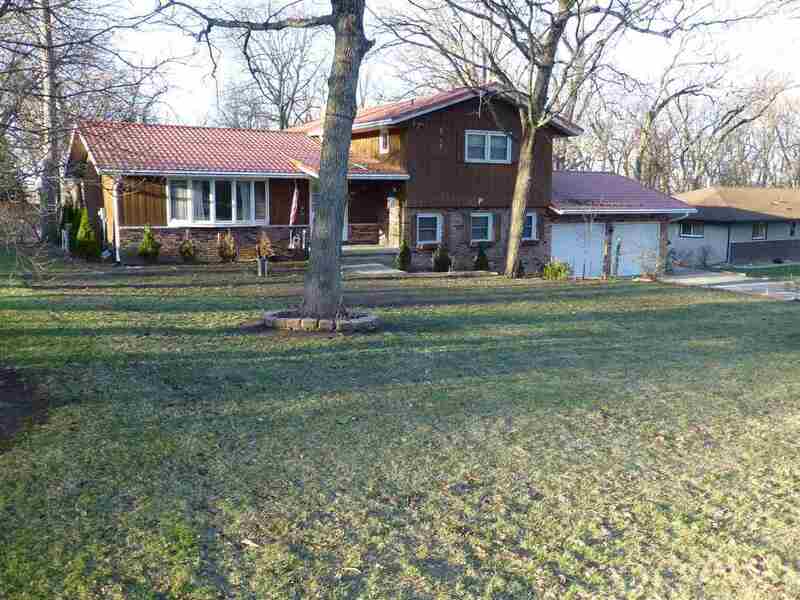 Spectacular location w/ a country feel yet just down the rd from Target, Costco, etc.! Fabulous floor plan with a generous Living room and family room with walk out (plumbed for wet bar). 4th bedrm, powder rm, FR and laundry just a few steps from Kitchen level. Nearly 1/2 acre with backyard facing south, perfect for pets, play, and gardening (large garden shed too)! Newer metal roof, furnace, C/A and many windows. Heated 2 car gar and extra driveway parking pad. The 70's shag carpet throughout and gold and green tubs still remain & so priced accordingly. New private well 2018.